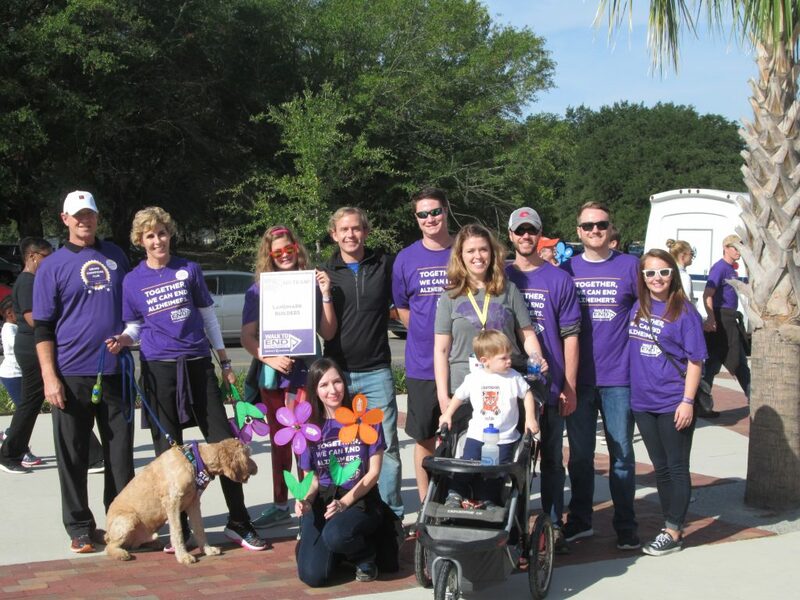 Landmark Builders of South Carolina participated in the Walk to End Alzheimer’s on Saturday, October 21, 2017 at the Spirit Communications Park in Columbia, SC. Held annually in more than 600 communities nationwide, the Alzheimer’s Association Walk to End Alzheimer’s® is the world’s largest event to raise awareness and funds for Alzheimer’s care, support and research. This inspiring event calls on participants of all ages and abilities to join the fight against the disease! Landmark Builders was recognized as the Top Fundraising Team for the 2nd year in a row, raising a total of $10,015 for the Alzheimer’s Association.